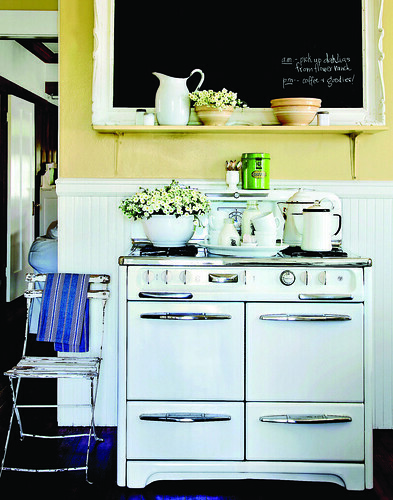 THERE’S A VERY APPEALING SCHOOL OF DECORATING involving flea market finds, old stoves and farmhouse sinks, distressed wood furniture — all things vintage, from lighting to linens to glassware. As practiced by Randy Florke, whose Restore. Recycle. Repurpose. 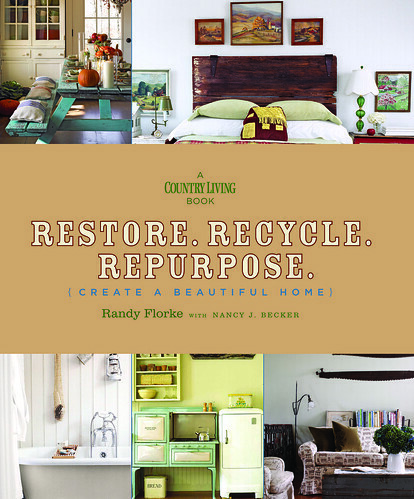 (Create A Beautiful Home) has just been published by Hearst/Country Living, the word “cottage” has nothing to do with it. The only place things get a little grandmother-y in Florke’s vision of sustainable, authentic decorating is in the rolled-arm slipcovered sofas that furnish every living room (not that I have a better idea — sofas are tough). Mostly, it’s the cohesive, controlled, confident, tchotchke-free view of a very handy, tasteful man, raised in Iowa, who’s produced numerous photo shoots for Country Living and other magazines. It’s not just the furnishings that exemplify the old-fashioned virtues of “simplicity, thrift, and authenticity,” to quote the book’s jacket. Florke is a real estate agent in Sullivan County, New York, specializing in late 19th and early 20th century farmhouses. A veteran of many renos, he’s recycled and re-purposed many stair railings, floor planks, wainscoting, decorative moldings, doorknobs, beams, and ceramic tiles. If everyone followed his lead, IKEA would go out of business. There’s no place for anything new, except maybe a mattress (TVs and computers are discreetly tucked away). The book has lots of tips for going green, many by now recycled themselves. 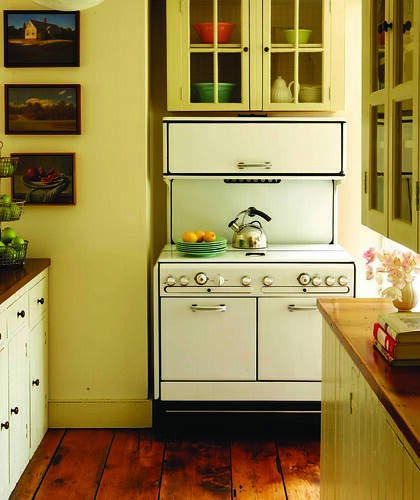 The main one, as Florke puts it: “Refuse to feed the land fill.” He admits the vintage stoves are energy-guzzlers compared to today’s modern ones, but it’s a compromise he’s prepared to make. Anyway, I just can’t help but love a guy whose search for a desk or a dresser always begins with a trip to a thrift shop or the Salvation Army. 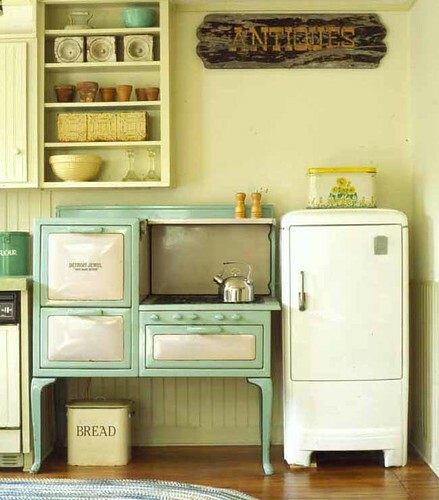 This entry was posted in ANTIQUES & COLLECTING, BOOK REVIEW, CATSKILLS, COTTAGE LIVING, INTERIOR DESIGN, OLD-HOUSE MAKEOVERS and tagged 19th century, Country Living, farmhouse, Randy Florke, recycle, repurpose, restore, Sullivan County, sustainable, vintage stoves, wainscoting. Bookmark the permalink. 2 Responses to BOOK REVIEW: Restore. Recycle. Repurpose. I love old school furniture. Thanks for the pictures! They are great! I was thinking about buying this book and after viewing this, I AM going to buy this book. Thanks for helping someone who can’t make a decision, make an easy one!